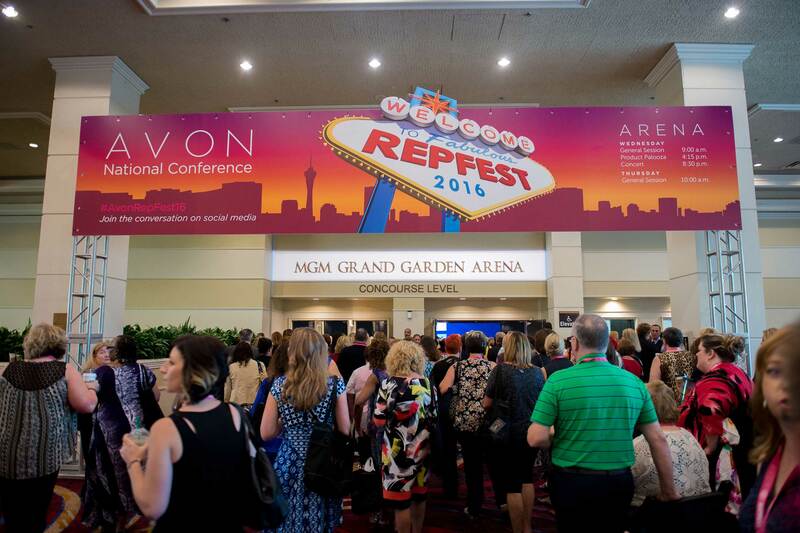 This week, New Avon (“Avon”) hosted “RepFest,” its annual Representative Convention in Las Vegas, bringing five thousand attendees together to share the company’s vision for the future, and a celebration of the company’s 130 year history as a direct selling leader and beauty icon. Avon Representatives hailed from all 50 states to gather for three days of building knowledge, relationships and futures. 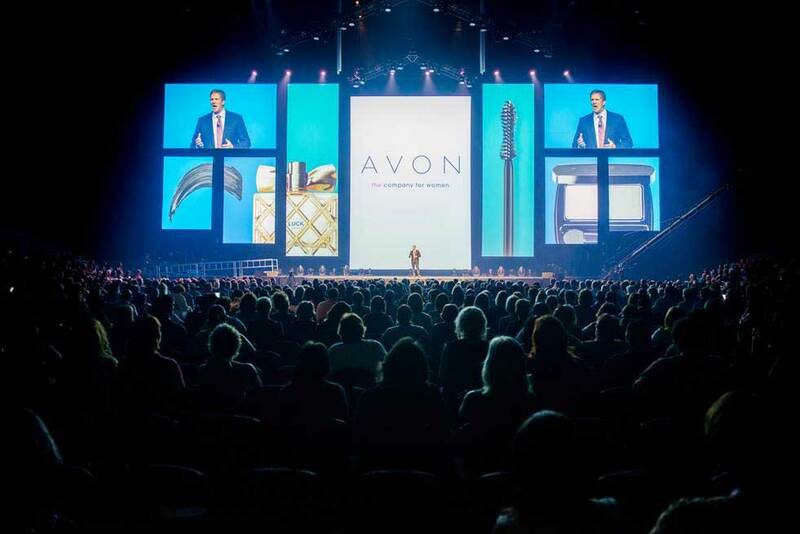 Scott White, Chief Executive Officer of New Avon, and Betty Palm, U.S. President, Social Selling for New Avon, delivered keynotes sharing Avon’s commitment to become the best social selling company in North America. Highlights from the Avon RepFest 2016. 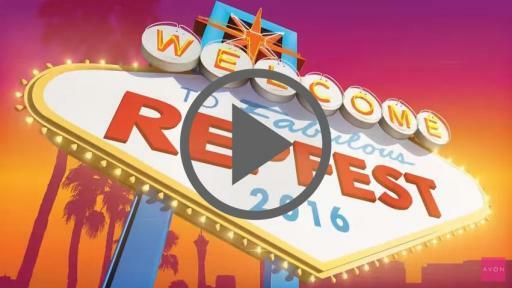 Scott White, Chief Executive Officer of New Avon speaks at RepFest 2016. 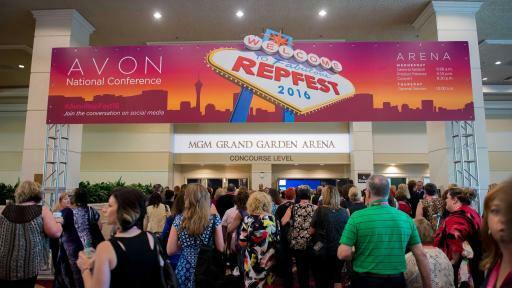 Crowds gather at the Avon RepFest 2016 in Las Vegas. Avon Representatives finding time for a selfie at RepFest 2016. 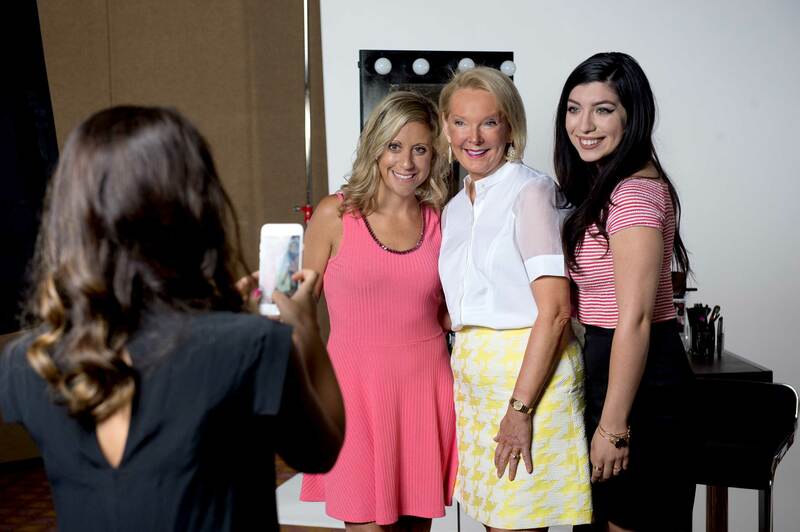 Betty Palm, U.S. President, Social Selling for New Avon with Avon Representatives. A finale keynote presentation from financial expert Suze Orman about self-transformation and achieving financial freedom. Avon and mark. 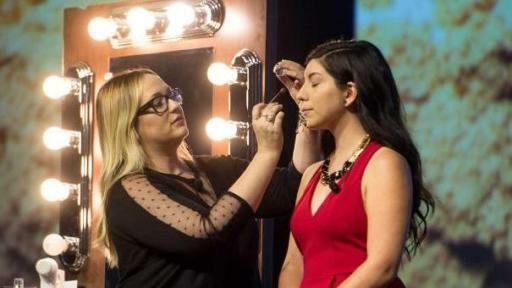 Makeup Artist Kelsey Deenihan hosted Representative Beauty Certification Classes. Closing Celebrations at the Avon RepFest 2016. A finale keynote presentation from Financial Expert Suze Orman. As a crusader of women’s empowerment, Ms. Orman delivered the event finale keynote about self-transformation and achieving financial freedom. Inspirational, business-building seminars. 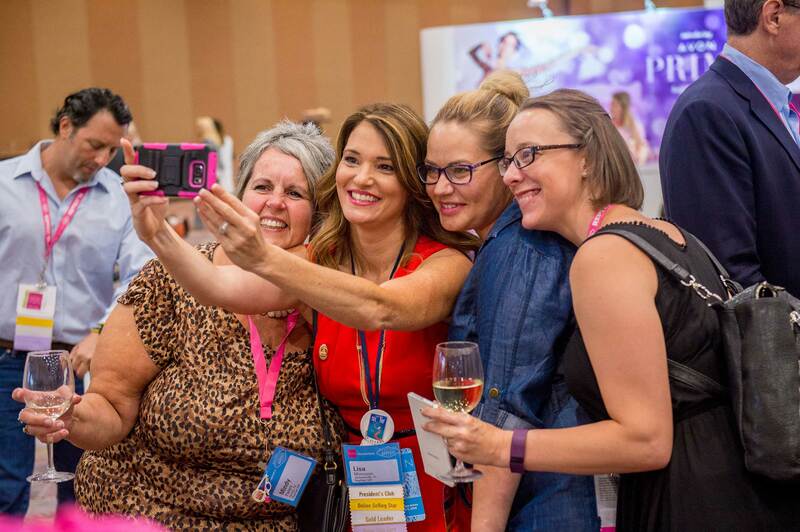 Sessions led by the best experts in the business – including many highly successful Avon Representatives - were designed to teach valuable business management and social selling skills to grow their own businesses. 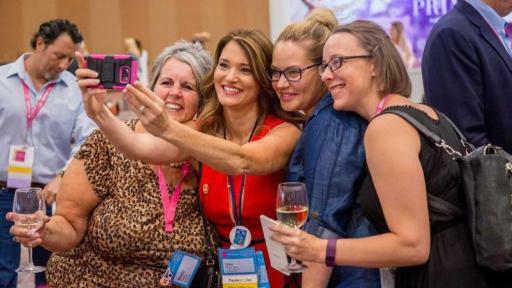 The seminar line-up also included “Avon Digital 101,” "Superstar Secrets to Success," “Give Yourself a Raise” and “Promoting Yourself in a Digital World,” among others. ANEW Ultimate Supreme Advanced Performance Crème, infused with black pearl essence which is known to improve skin’s ability to retain moisture, as well as the highest level of Avon’s exclusive Celluvive anti-aging complex. This anti-aging skincare breakthrough is launching in October. Avon Prima, a ballet inspired fragrance celebrating female strength and resilience, was created in partnership with the prestigious fragrance house of Firmenich. American Ballet Theatre Dancer Courtney Lavine is the face of the new scent, and will appear on the Avon brochure cover for the product’s launch in November. Announcement of new partnership with highly-acclaimed dermatologist and cosmetic surgeon Dr. Kim Nichols. As the Consulting Dermatologist to Avon, Dr. Nichols hosted a question and answer session for Representatives and shared upcoming breakthroughs in anti-aging skincare technology. Avon and mark. 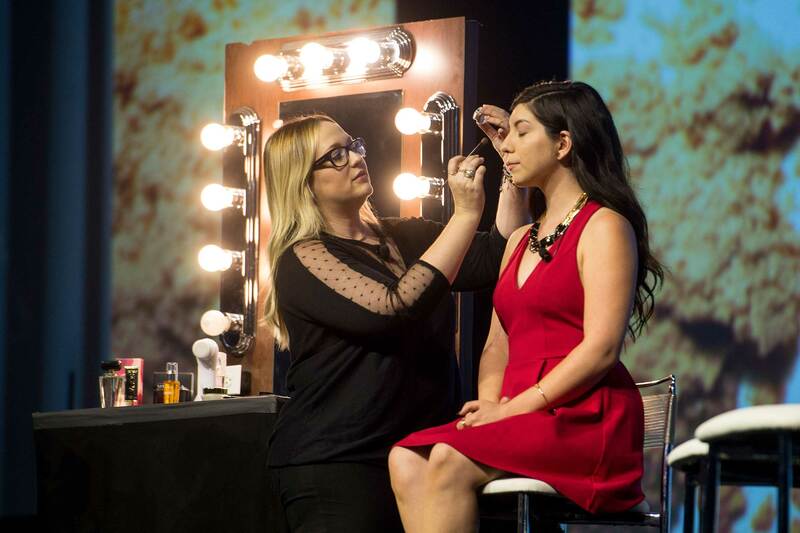 Celebrity Makeup Artist Kelsey Deenihan hosted Representative Beauty Certification Classes, where she showcased the high quality and advanced technology of Avon Color, and tips for working with customers to put their best face forward. A fashion show hosted by Style Expert Lindsay Albanese including her tips and tricks on fashion and accessories straight from Hollywood. Celebration of the Avon and The Avon Foundation for Women’s announcement of $1 billion raised globally in contributions for the fight against breast cancer and domestic violence. The event featured a special thank you to Avon Representatives for joining in the company’s commitment through selling fundraising products and participation in the Avon39 Walk to End Breast Cancer. 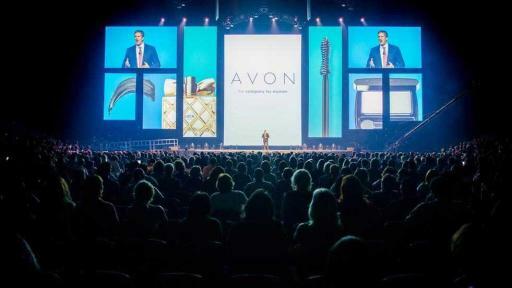 New Avon LLC is the leading social selling beauty company in North America. The company generated over $1 billion in revenues during 2015, and has nearly 400,000 independent sales Representatives in the United States, Puerto Rico and Canada. 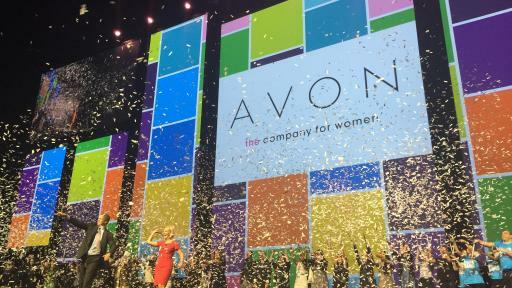 New Avon's product portfolio includes award-winning skincare, color cosmetics, fragrance and personal care products, featuring iconic brands such as ANEW, Avon Color, Mark, and Skin So Soft, as well as fashion and accessories. 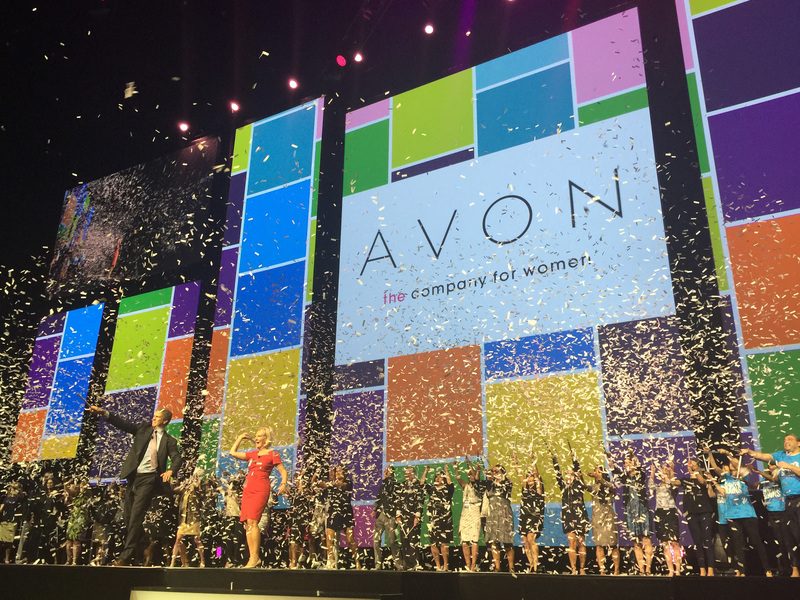 Avon has a 130 year history of empowering women through economic opportunity, and the company also proudly supports the Avon Foundation for Women in its efforts to end breast cancer and domestic violence. Learn more about New Avon and its products at www.avon.com.